With all the recent buzz about recycling and the onslaught of all kinds of recycling programs around the world, it may seem to be a fairly recent trend. Truth be told, recycling has been happening for centuries. In fact, one of the first examples of paper recycling dates back almost 100 years prior to The Revolutionary War, at a paper mill near Philadelphia, PA. Throughout the years, recycling efforts have evolved and grown ever more popular as we learn more about the very real hazards of waste to our global environment. Recycling of the more common items such as glass, paper, aluminum and plastic are straightforward and many states have even instituted mandatory recycling along with fines for non-compliance to local recycling laws. As office automation advances more rapidly year after year, we have become increasingly aware of the hazards of consumables such as printer and toner cartridges if left to simply toss them into the office garbage bins. Toner cartridges are made up of a complex combination of plastics, metals, foam, ink and toner, and cannot easily be separated into their component materials. This means they are not suited for the general sorting and collection programs and facilities. Many toner cartridges are thrown away, or if unused, can be sold for cash. Currently, more than 375 million empty ink and toner cartridges are thrown in the trash each year. This is a staggering number, especially when we now know that a single cartridge that is thrown into a landfill can take up to a hundred years or more to fully decompose. 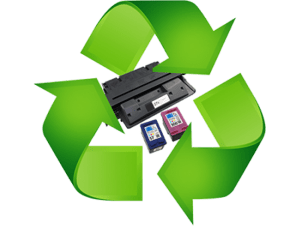 Diverting toner cartridges from the land fills is extremely important to our environment since they are a major contributor to electronic waste, which is one of the fastest growing forms of waste. Nearly 100% of the materials used to manufacture ink and toner cartridges can be recycled and reused, which in turn greatly reduces the pollutants and toxins that would be released into the environment if these items were left as waste in local landfills. Approximately one gallon of oil is utilized in the production of a new laser cartridge. 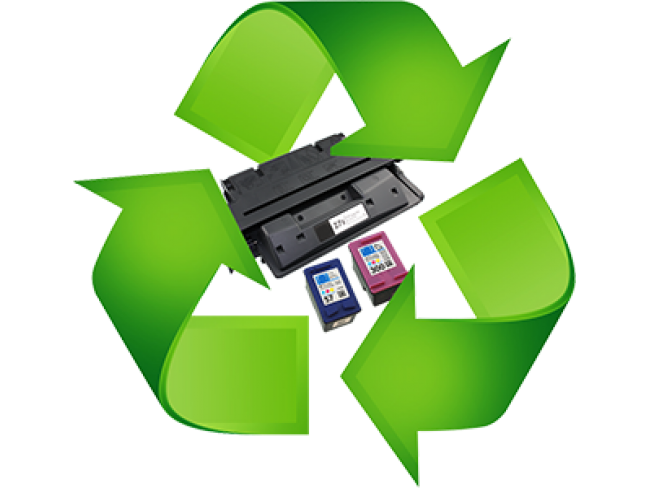 By recycling toner cartridges, we are in fact saving millions of gallons of oil. Many companies around the world have taken significant steps in their toner recycling programs, and promoting the benefits that are associated with recycling toner cartridges. Not only in the workplace, even in our homes we should all take steps to contribute to the reduction of electronic waste. Since recycled cartridges have a lower manufacturing cost, which in turn means lower prices to the consumer – the bottom line results in a win win for all.